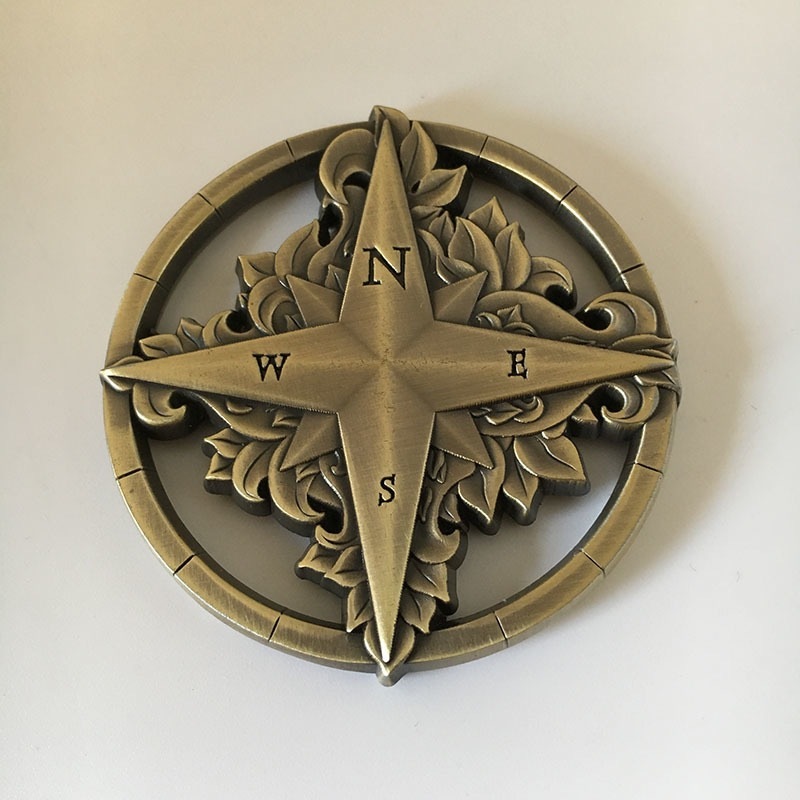 The Deven Rue Compass Rose is a beautiful art object, but is also designed for gaming sessions. 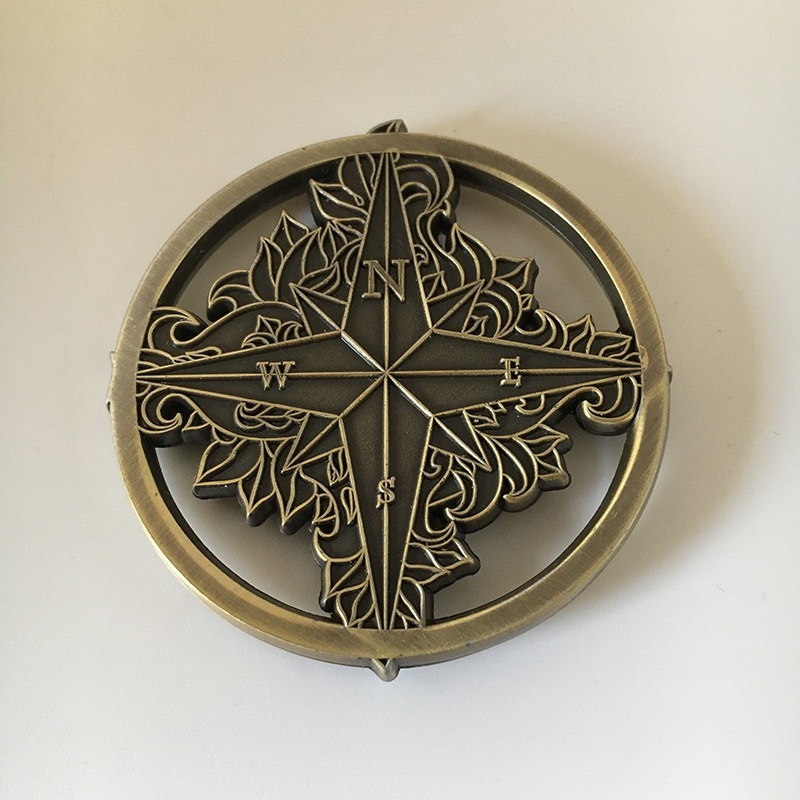 This metal compass can be placed on any map to clearly show which way is north, and it is also heavy enough to act as a paperweight. It is is perfect for world maps and also brilliant for tactical maps. It is two inches from side by side, and sits exactly inside a 2x2 square, with each compass arm perfectly aligned to the grid. The cutouts clearly show the map underneath, and also make it easy to attach this beautiful piece to a chain. This compass rose is 2 inches diameter (50 mm) and over 1/8th inch (4 mm) thick—and it's heavy—weighing 1 1/2 oz (40 grams). It also has an antique bronze finish. Gorgeous piece with good weight. 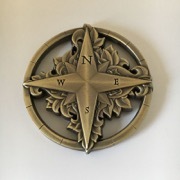 If you're tired of always having to refer back to the book to figure out which way is north, then the Deven Rue compass Rose is the answer to your prayers. Just drop this baby on the table and everyone will have constant Know Direction in effect for the remainder of the game. It's that simple. The metal has a nice weight that feels good in the palm of one's hand and it lays heavy on the table. This is quite useful in holding down maps that may try to fold or roll.